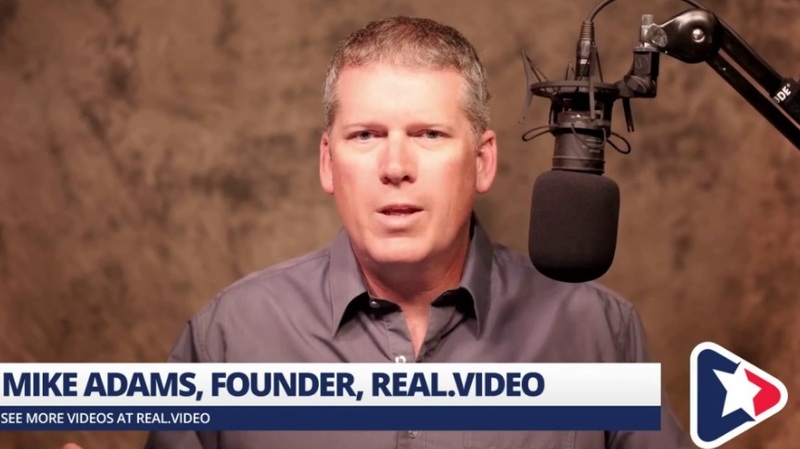 (Natural News) A bombshell revelation is rocking the political world today as it is revealed the letter released by Sen. Dianne Feinstein, who claims the letter was written by Kavanaugh accuser Christine Blasey Ford, is a fake that could not possibly have been authored by Ford. Inconsistencies in the letter were first noticed by Dannielle Blumenthal PhD (@DrDannielle on Twitter). I have conducted significant additional analysis (see below) and included the problems noticed by Dr. Blumenthal. In total, there are now fourteen errors or problems in the “Dr. 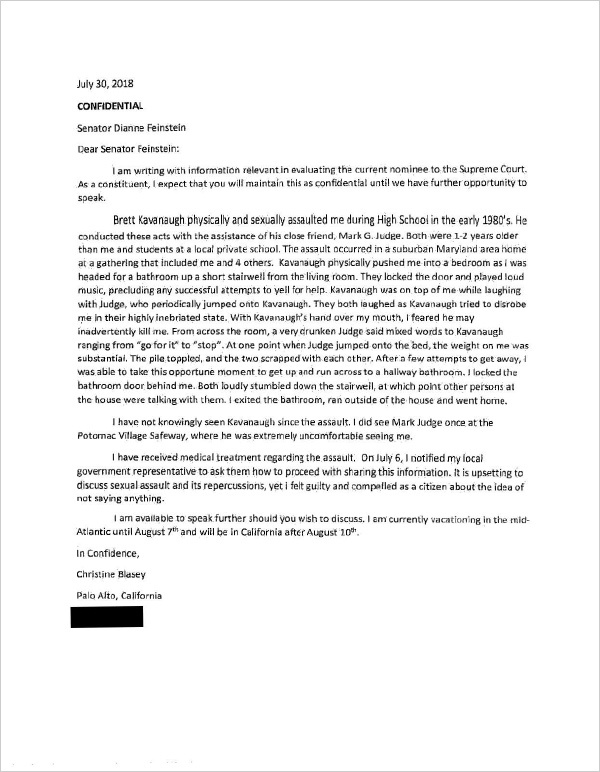 Ford” letter that indicate it was not authored by Dr. Ford. Both Dr. Blumenthal and I are imminently qualified to assess the writing level and composition of letters and articles. Dr. Blumenthal has a Ph.D. in sociology and a bachelor’s degree in interdisciplinary studies with a focus on creative writing (h/t to The Gateway Pundit). She has been a professional writer for 30 years and spent 2.5 years handling constituent letters sent to members of Congress. For my part, I have a bachelor’s degree in interdisciplinary studies with a focus on technical writing. As the editor of one of the largest independent media organizations in the world, I oversee the writing and publishing of over 30 news articles each day and have overseen the hiring of hundreds of writers based on their writing and composition skills. I am also a published science writer with a No. 1 best-selling science book on Amazon.com (“Food Forensics”). It doesn’t mean my own writing is completely error-free, but you don’t see experienced writers making “newbie” mistakes at the high frequency spotted in this Dr. Ford letter. I have added to Dr. Blumenthal’s analysis after discovering additional discrepancies in the letter. Both Dr. Blumenthal and myself agree that the letter released by Sen. Dianne Feinstein is almost certainly a fake. It could not have possibly been written by Christine Blasey Ford, who has a Ph.D. and is a highly educated individual with several decades of writing experience. Note: You can see the original letter at this Document Cloud link. We have also mirrored the letter at this link (PDF). The font size of the first line of the second paragraph, where Brett Kavanaugh’s name is first mentioned, is oddly 140% the size of all the other lines in the document. This could indicate one of several things: 1) The line may have been altered after the fact by a person who failed to be careful in carrying out an attempted document alteration. 2) The document may have been printed on a printer that suffered a line feed problem on that one particular line. However, this problem would typically reveal horizontal white stripes in the line, and such lines do not appear. 3) The line may have been added in a rushed, last-minute fashion without careful attention to the font size. The second sentence in the second paragraph states, “Both were 1-2 years older than me and students at a local private school.” This is a grammatical error that’s typical of low-skilled writers. A more skilled writer would have written something closer to, “Both were 1-2 years older than myself and other students at a local private school.” The sentence is still awkward, but improved. The construction of this sentence smacks of a poorly educated individual with very little writing experience. Here’s another sentence from the letter: “From across the room, a very drunken Judge said mixed words to Kavanaugh ranging from ‘go for it’ to ‘stop’.” This contains two oddly phrased words that indicate a very low level of writing skill. The term “drunken” should have been written as “drunk.” Only a very inexperienced writer would use the term “drunken.” Similarly, the phrase “mixed words” seems to be something that a non-native English speaker would write, not a highly trained Ph.D. who went to a reputable university in America. One of the tactics used by low-level writers to try to impress their intended audience is to use sophisticated-sounding words that are “above their pay grade,” so to speak. I see this frequently in writing samples authored by young writers with very little writing experience. In this letter, the phrase, “…I was able to take this opportune moment to get up…” is a glaring red flag that the letter wasn’t written by a well educated individual. Who uses “opportune” in such a context? Only a low-level writer hoping the word makes them sound sophisticated. Here’s a sentence near the end of the letter: “It is upsetting to discuss sexual assault and its repercussions, yet i felt guilty and compelled as a citizen about the idea of not saying anything.” Note that the “i” is not capitalized in the phrase, “yet i felt guilty.” This is another red flag error only made by an extremely inexperienced writer. No Ph.D. would make such an error, but a low-information blogger or activist is very likely to make such an error. The failure to capitalize “I” words is also very common among younger writers below the age of 25. This phrase suffers from poor sentence construction and a lack of clear thinking. The word “compelled” implies an action item. People are compelled to do things. You do not experience being “compelled” about an “idea.” The entire phase, “yet i felt guilty and compelled… about the idea” is not something an educated, experienced writer would write. This is not a grammatical error; it is a logic problem. We’ve been told for over a week that Christine Blasey Ford did not wish to testify in front of the U.S. Senate because she had a fear of flying. But in this letter, she is apparently flying great distances for a vacation. Her online photos also show her to be vacationing in Hawaii, which requires a very long flight. 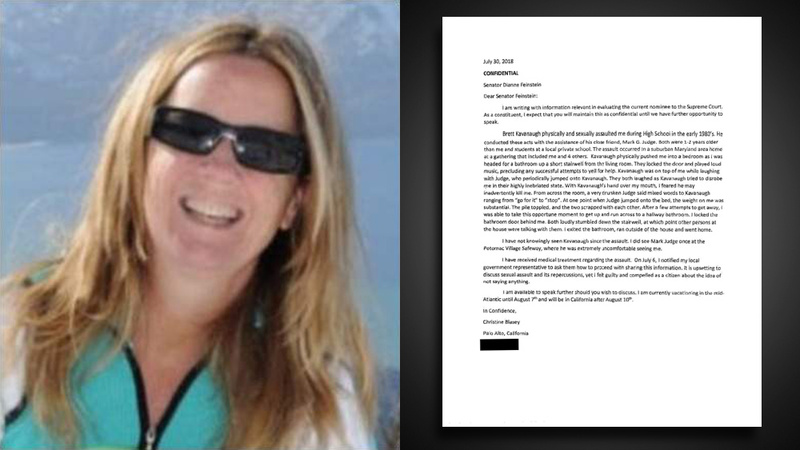 Conclusion: Dr. Christine Blasey Ford did NOT write the letter… so who did? A careful review of the letter that Sen. Dianne Feinstein claims was written by Dr. Christine Blasey Ford reveals a simple, stunning truth: She did not write this letter. No Ph.D. could have authored a letter like this, riddled with grammatical errors, sentence construction problems, capitalization errors and apostrophe errors. There is no doubt whatsoever that this letter was written by a poorly educated individual with very little command of the English language. Any experienced writer can immediately determine that these writing samples were not authored by the same person. Furthermore, when people write Senators, they tend to compose letters at their highest writing skill. Christine Blasey Ford’s writing skills are far above the skill level demonstrated in the letter released by Sen. Feinstein. Conclusion? Sen. Feinstein has released a fraudulent letter which was not authored by Dr. Christine Blasey Ford. For what purpose would she do this? For political purposes, obviously, to mount an attempt to block a Supreme Court judge by any means necessary… including deceiving the entire country with a contrived letter and a fictional allegation against one of the brightest legal minds of our time. People are afraid about the unknown, always, because the known seems so well acquainted that you can remain unconscious with the known; there is no need of any alertness. The unknown requires you to be more conscious, more alert. And the fear is coming from your false ego, because the more conscious you become, the less is the possibility for the ego to exist. That’s why you are feeling that something is dying in you. This happens only to the fortunate ones, because anything that can die in you, is not you. Your life source is eternal and knows no death. You can take it as a criterion, that whatever is dying, deserves dying. It was false and you were unnecessarily identified with it. With its death you will realize your reality and that reality never dies – it is always here-now. Your first Podcast in the park with Az was awesome. Looking forward to more, really excellent insights.